In the first part of our series, we presented an internal FAS Use Case about how to implement a simple two-factor authentication with vSmartCard generated in the background without users requiring a real SmartCard or multiple authentication. 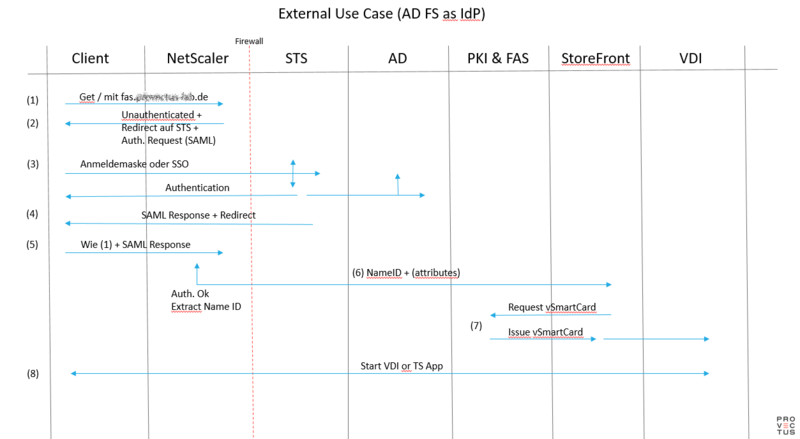 In comparison with the internal use case we use this time the STS (Microsoft Active Directory Service) and a NetScaler Gateway for the connection from the internet to our internal system. External, the authentication goes through the Identity Provider via SAML. The internal SSO works like in the internal use case. The NetScaler then uses this SAML Token to verify the identity of the user (Name ID Attribute). StoreFront contacts the Federated Authentication Service (FAS) to generate a Certificate for the authenticated user. 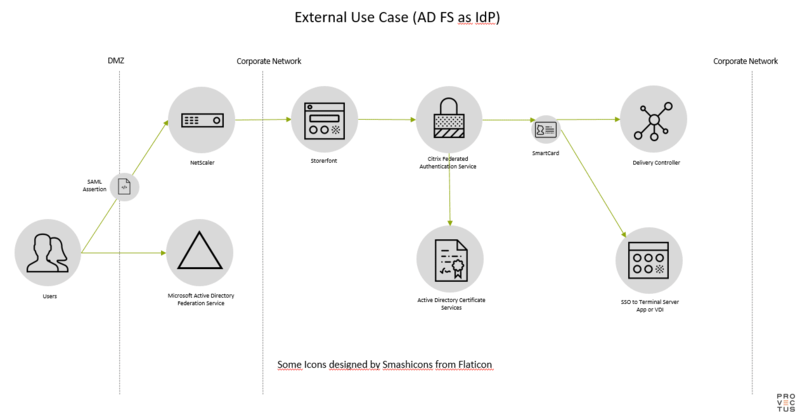 The Federated Authentication Service (FAS) talks with the Active Directory Certificate Service (AD CS) to generate a Client-Certificate (vSmartCard) for the authenticated user. At this moment the FAS holds both, the Client-Certificate and the private key. In the third part of this series we look at a use case with an external system as IdP and show how B2B Account Mapping can be realized.